I'm very sceptical that a computer algorithm can do what human experts cannot. IP risk and value are very difficult to quantify and big data is not always the solution to everything. However I suppose once CIPHER gets established it will become accepted because concrete numerical results can be understood by business people and fed into the investment/financial systems. There are masses of tasks that algorithms can do in one second that would take you a lifetime. And does anyone doubt that Amazon's recommendation is very often right, or at least useful. Take a demo of CIPHER and form your own view. At the moment we're finding it difficult to use patents as assets because they are hard to value. CIPHER will provide some of what we've been looking for. 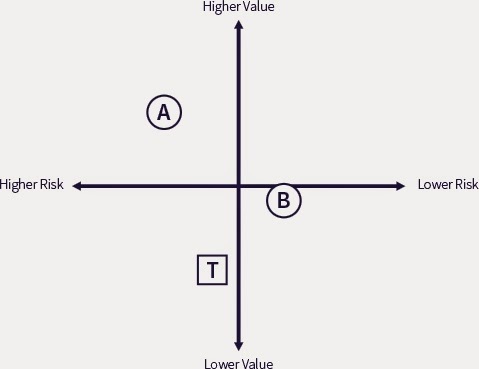 We'll get a value, numbers that define the risk from a well-known product. However how many people will really be able to tell whether the numbers are meaningful or close to reality. How many naïve investors are capable of assessing that risk?